A major sparkling statement. 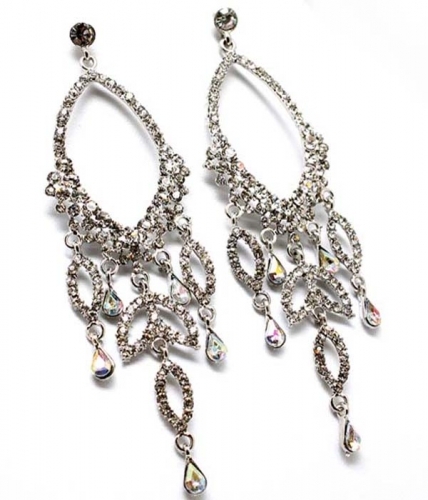 The Seraphina are intricately detailed silver chandelier earrings encrusted with a treasure chest of crystals. The perfect evening earrings for a black tie event.Buy from the hottest range of online costume earrings for women right here at Oz Bling.